Griffin Mac-PnP Information. The Mac PnP (Plug and Play) adapter brings a new level of versatility to monitor adapters. Simply attach the adapter on your monitor cable, plug the adapter into the video out of your computer and start the computer. 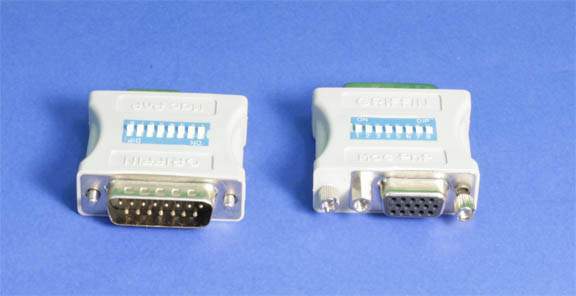 The adapter is preset to automatically allow the computer to display all available resolutions that the monitor supports. Resolution can also be manually set via dip switches to accommodate for a wider variety of applications. The Mac PnP adapter is compatible with virtually all VGA and SVGA, monitors running on Macintosh models including LCs, Performas, Quadras, AVs, and PowerMacs.